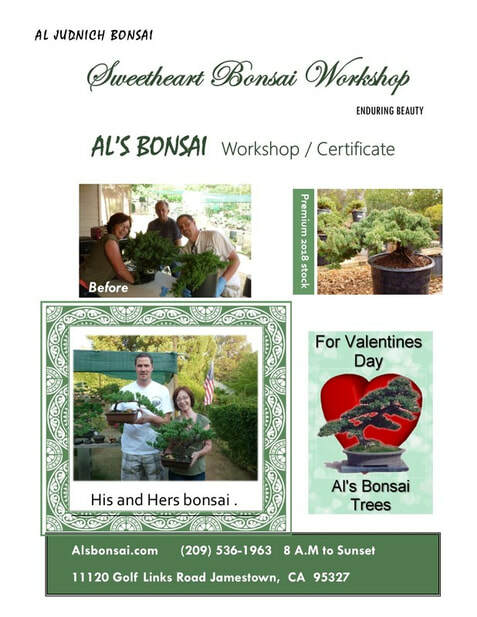 Al's Bonsai, Jamestown Refreshing beauty one home at a time. 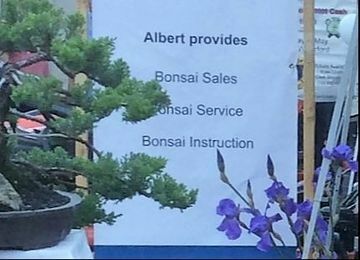 Al's Bonsai, sales, service and instruction. 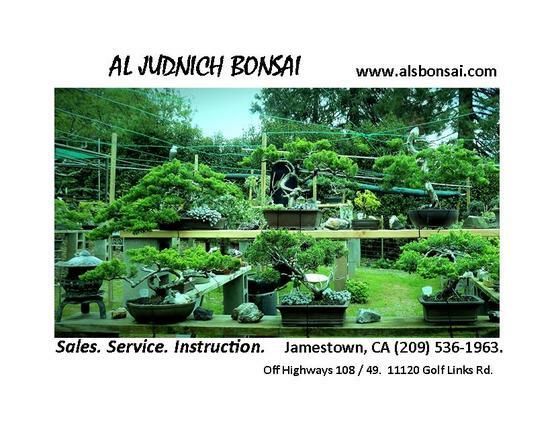 AL'S BONSAI and "beyond bonsai,"
bonsai selection / sales of outdoor / indoor bonsai. Sick tree care / consultation. visit Al's Bonsai open daily 8 AM to sunset. designed in his personal style and personally maintained by him. enduring gifts or to add to your personal collection. ​ bonsai varieties styled for indoor display. 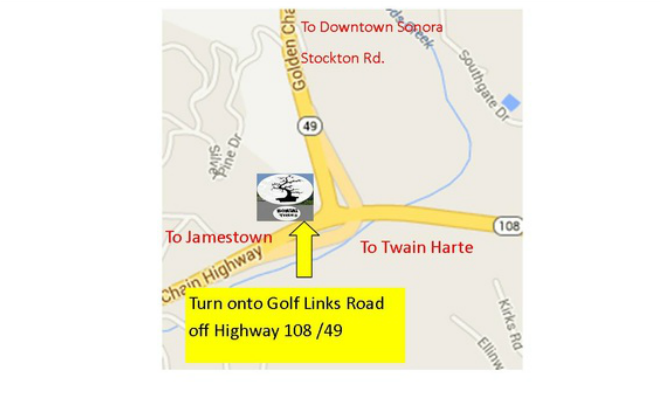 Open 8 A.M. to sunset Monday thru Saturday. Albert provides written care instructions and watering demonstration. Join us any season of the year for an amazing tour through Al's bonsai. ​Conveniently located near the highway. ​ near Stockton Rd. Sonora, CA. Be inspired, come visit 8 am- sunset daily. Appointments and tours are available. Contact (209) 536-1963 for more information. Enduring Beauty. open 8 A.M to sunset, bonsai and beyond; creative living enduring beauty.